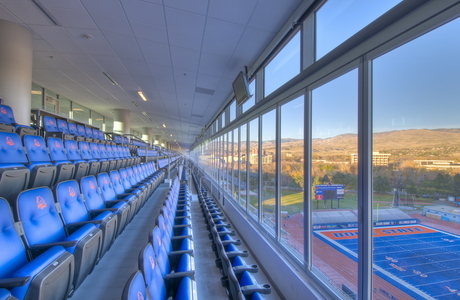 The addition of the Stueckle Sky Center to Boise State Stadium addressed needed improvements to university operations, including production and media broadcast support for its successful athletic department. 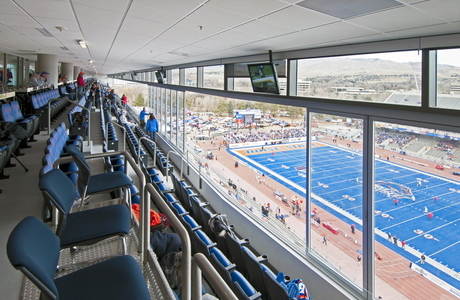 Yet the school’s mandate to Salt Lake City-based FFKR Architects also emphasized new opportunities for "booster accommodations" – luxury seating and event spaces for big fans of the BSU Broncos, on three of four new levels: loge boxes, club seating, and sky suites. "The client wanted the luxury 'Club' seating level, spanning 324 feet, to accommodate 800 patrons in seats that could be open-air or windowed, as conditions required," recalls Jim Lohse, AIA, senior principal with FFKR Architects. 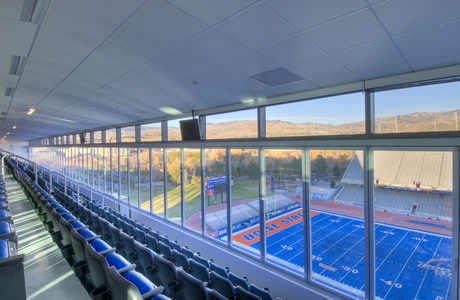 For the best possible game-day experience, window framing was minimized as much as possible in FFKR’s sleek, contemporary design – whether open or closed – eliminating obstructions to views of the field below. Ultimately, FFKR's team specified NanaWall's HSW60Thermally Broken Aluminum Framed Single-Track Sliding System – and they did so on an unprecedented scale. The 324-foot span splits in the center and fully retracts in only about 60 minutes, providing unobstructed views unachievable with conventional windows, says FFKR. 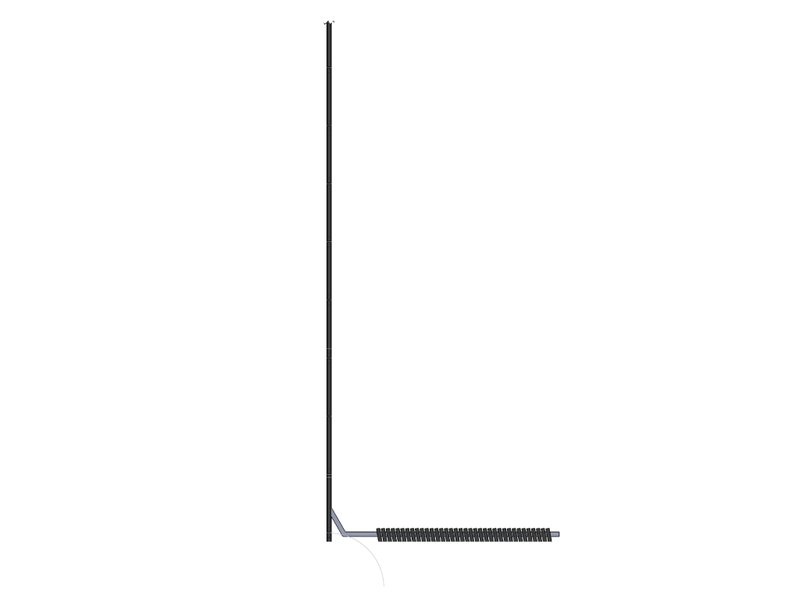 "NanaWall's system, which we opted for because of the manufacturer's singular reputation in this field, helped us create what might be the longest fully retractable span in the world." Switching from open to closed had to be a relatively fast operation, too. In this way, the NanaWall system allows the facility manager to make the decision to “go open or closed” based on weather conditions just before game time. "The client also wanted a smaller operable glass wall," continues Lohse, "Four to eight panels, on the Loge level below, were used to enclose an area for food-and-beverage service and casual mingling." Here again, the challenge was to deliver open-air conditions when possible, and minimally obstructed views from the event space when the glass panels were closed. 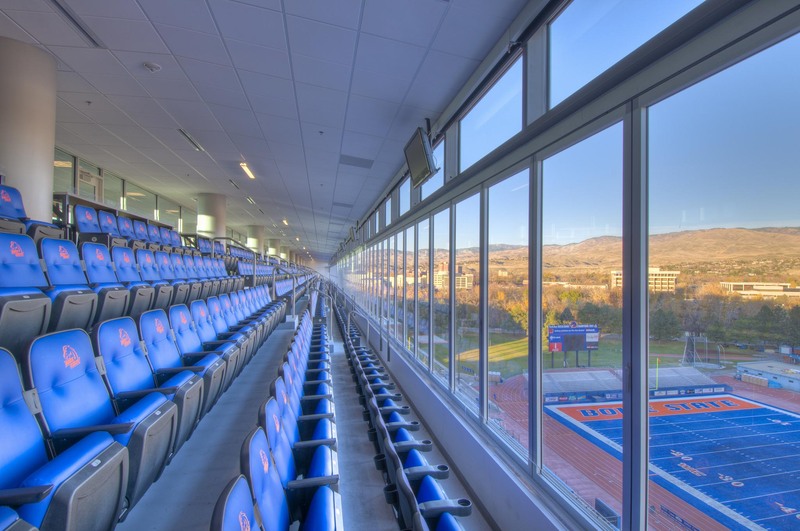 The Loge level’s NanaWall system is smaller in scale but with floor-to-ceiling glass to provide a stunning view of Broncos football events in any weather. For both spaces, the operable glass walls also have to withstand brutal High Plains winters, requiring a high level of weather resistance. 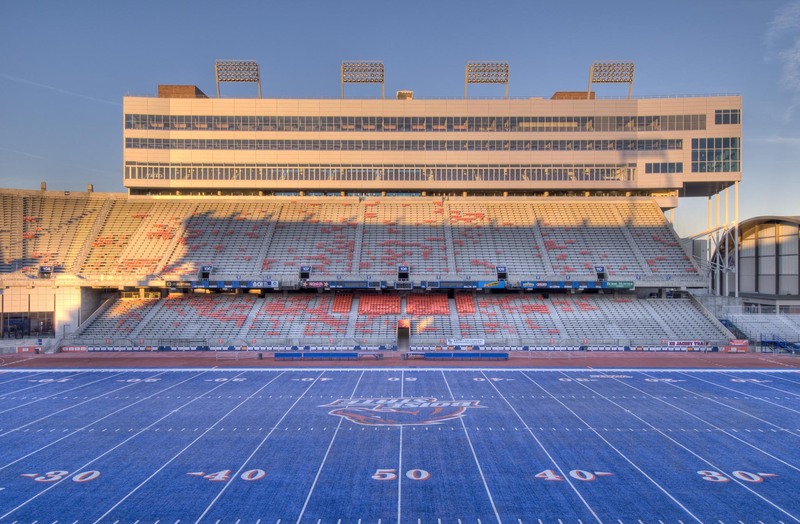 With these changes, Idaho's college football fanatics enjoy big, unimpeded views of Boise State Stadium's blue turf and their beloved Broncos. In hopes of improving the experience for fans attending the games – especially those paying for premium seats and boxes – the university tasked FFKR Architects to bring even more high-end amenities to the Stueckle Sky Center as a state-of-the-art addition. The university’s boosters figured significantly into the ideas that went into the new design. Their main goal was to create the best possible game-watching experience, regardless of weather conditions. The Club seating provided a unique challenge for which the NanaWall systems were uniquely suited. To convert to open-air stadium conditions using a weather tight, strong framing system usually requires larger mullions, headers and sills. 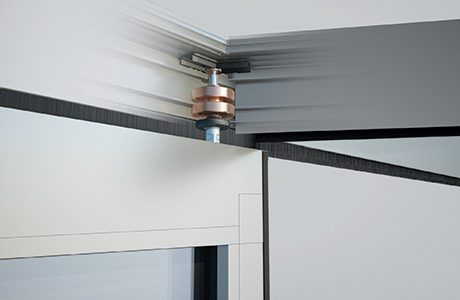 Yet with the HSW60, the architects were able to work with minimal framing – a challenge that few fenestration products can meet. 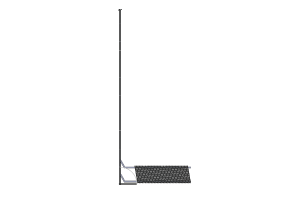 And the NanaWall system is weather-resistant enough to stand up to the harsh winters in the American Northwest. "NanaWall's system, which we opted for because of the manufacturer's singular reputation in this field, helped us create what might be the longest fully retractable span in the world," says Lohse. 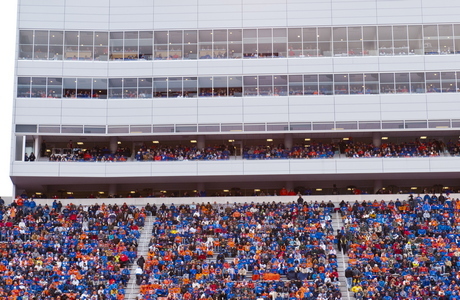 The football-field-long glass span separates the 800-seat Club level from the weather – only when needed. Operations staff can make the decision to open or close the span up to one hour before occupancy. "Also," adds Lohse, "the smaller span on the Loge level has created a reception space with unobstructed views of the field, whether open or closed." NanaWall's folding system helped FFKR create a versatile and sought-after space for VIP events, where boosters can mingle, enjoy food and beverage service, and view the blue ball field either through a giant opening or through an almost invisible glass wall.